Young adult (YA) fiction has been around, in various forms, for as long as there has been literature. But the vast success of “Harry Potter,” both at the bookshop and on the big screen, turned YA film adaptations into a veritable industry. This year, a brilliant variety of young adult movies is based on novels that feature elements of fantasy, tragedy, romance and thrillers. They’re all coming to AMC soon. Here are the best new YA movies coming to theatres. Being 17 years old is hard enough. Being 17 in a hospital while undergoing treatment for cystic fibrosis takes that challenge to a whole new level. Based on the best-selling novel by Rachael Lippincott, FIVE FEET APARTtells the story of Stella Grant (Haley Lu Richardson) as she navigates through her treatment options and tries — to the best of her ability — to enjoy life on her own terms. 2018 gave us showstopping movie-musical numbers from Lady Gaga (A STAR IS BORN) and Natalie Portman (VOX LUX). By springtime, Elle Fanning will kick 2019 into high gear as she steps up on stage in TEEN SPIRIT. Fanning, who played Aurora in Disney’s 2014 SLEEPING BEAUTY reimagining, MALEFICENT, stars in TEEN SPIRIT as Violet, a quiet teenager from a small European town who is thrust into stardom when she enters a singing competition. What started out innocently enough as Harry Styles fan fiction blossomed into a best-selling novel. Now, it’s a major motion picture. Well, maybe “innocent” isn’t the best way to describe this movie. This hot-and-heavy thriller is based on the novel of the same name by Anna Todd, who reportedly began the project as fan fiction centered around the One Direction star. Harry was scrubbed out entirely from the novel’s manuscript, which reintroduced the character as the mysterious Hardin Scott. Same initials, sure, but totally different characters because, in the movie, they have different haircuts. 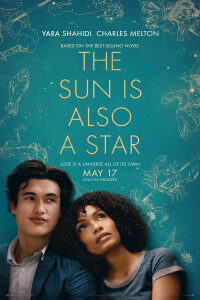 Fans of 2017’s EVERYTHING, EVERYTHINGwon’t want to miss THE SUN IS ALSO A STAR, the latest adaptation of a novel by acclaimed author Nicola Yoon. 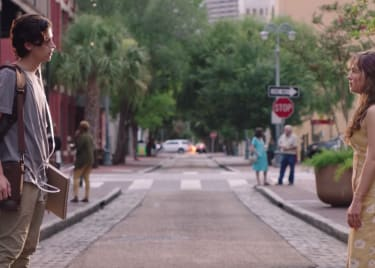 The movie centers around a whirlwind teenage romance, set on the streets of New York City, between Natasha (Yara Shahidi of “Black-ish”), a Jamaican immigrant on the verge of being deported along with her family, and Daniel (Charles Melton), the son of Korean shopkeepers en route to a college interview. 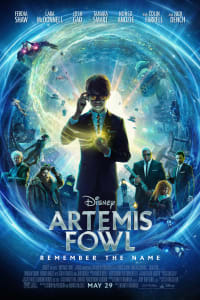 The beloved science fiction YA series by Eoin Colfer finally hits the big screen in this summer’s ARTEMIS FOWL. Kenneth Branagh (CINDERELLA, THOR) directs the story of Artemis, played by Ferdia Shaw, a 12-year-old genius who is a descendant of a long line of criminal masterminds. When his father goes missing, Artemis sets out to find him — and to prove the existence of fairies, which could be related to his father’s disappearance. Check back in with the AMC Scene for more YA adaptions soon!